On September 25th, nearly 93 percent of Iraqi Kurds voted in favor of independence from the Iraqi central government in Baghdad. Though it does not constitute an actual secession, the referendum triggered outrage in Baghdad and a flurry of condemnations from world powers. Turkey, Iran, and Baghdad voice the most strenuous objections to Iraqi Kurdish independence. An awareness of the recent tensions between these disparate parties clarifies the various interests they have in Kurdish independence. Just as important is inquiring into the Kurdish Regional Government’s (KRG) motives for choosing this moment to push for autonomy. Turkey’s rivalry with Iran has waned in recent months, and containing the Kurdish independence movement could very well unite the two nations . To do so, however, they will need to reconcile their competition for influence in both Iraq and Syria, as well as negotiate Baghdad’s fears with respect to Iraqi sovereignty and their own internal Kurdish conflicts. Ankara, Tehran, and Baghdad perceive the referendum as an urgent threat which overrides their multifaceted hostilities. In the days leading up to the vote, all three stopped flights to and from Iraqi Kurdish territory, and Turkey specifically threatened to sever economic ties with the KRG and shut off the pipeline carrying Kurdish oil to port for overseas sale. Concern within Turkey that such action might hurt Turkish and Kurdish workers has temporarily stayed President Erdoğan’s hand, but it has not tempered his rhetoric. The joint Turkish-Iraqi and Iranian-Iraqi military drills on the KRG’s border are highly unusual, and embedding Iraqi observers with neighboring units gives Baghdad a chance to lend action to its threats and also to monitor the activities of their erstwhile rivals. The Iraqi parliament’s decision to further impose punitive sanctions on the region and to revoke Kurdish MPs legal immunity are not likely to be the last of governmental retaliations against the vote. Turkey and Iran are also engaging in a flurry of diplomatic activity: Turkish Chief of General Staff Hulusi Akar’s visited Tehran on October 1st and Turkish President Erdoğan arrived in Tehran on October 3rd for talks with President Rouhani, worrying Iraqi Kurds that the two will continue to cooperate against Kurdish independence. Ankara and Tehran are both concerned that the referendum will energize Kurdish secessionist movements in their own countries. The Kurdistan Workers Party (PKK) and the Kurdistan Free Life Party (PJAK) fight for autonomous Kurdish states in Turkey and Iran, respectively. The two groups are closely linked, and the PKK has long maintained forces in the mountainous northern regions of the KRG, including training camps and weapons caches. Both Turkey and Iran routinely conduct cross-border operations targeting PKK-allied forces, including a strike Saturday in the Qandil region in Iraq. The conflict straddles the border, and Turkey and Iran both fear that the energy around the referendum will spill into their borders as well. They are right to worry – Iranian Kurds celebrated by the thousands. In Turkey, the reaction was less sweeping, but violence continued apace with an alleged PKK attack on a checkpoint in Sirnak, Turkey on Saturday evening. A successful Iraqi Kurdish secession would, in the eyes of both Turkey and Iran, fuel their own Kurdish citizens’ movements and exacerbate an already violent conflict. At the same time, Turkey and Iran compete for influence within the Kurdish Regional Government itself. Both enjoy economic influence near their respective borders, and both have sought to cooperate with the KRG. Turkey in particular benefits greatly from trade with the KRG, its second largest trade partner next to Europe. Neither is eager to see the other’s influence over Kurdish territory increase, and preserving Baghdad’s sovereignty over the KRG accomplishes that aim without undermining either party’s current interests. The status quo allows them to avoid one another and to protect the influence they already enjoy in Erbil. The concern over an emerging “united Kurdistan” is overblown. The tensions between Kurdish groups rivals those between the KRG and its international neighbors. Relations with the Democratic Union Party (YPG), which controls much of Rojava in northern Syria, are especially fraught and illustrate the lack of consensus among Kurdish groups on the future of their disparate national movements. Even separatists in Turkey and Iran do not call for a unified state with the Iraqi Kurdish region, but rather advocate for their own autonomous regions. The divisions between Kurdish communities extend beyond politics – the dialects of Kurdish spoken in Turkey, Syria, and Iran are distinct from those spoken in Iraq, and are not always mutually intelligible. Turkish and Iranian Kurds demand the right to advocate for themselves, but it is a mistake to conflate their goals with Erbil’s. Turkish and Iranian power projection into Iraqi territory is nothing new. Turkey’s military presence in northern Iraq is substantial, and Tehran enjoys leverage through its support of powerful factions in the Popular Mobilization Forces (PMF) working to combat ISIL. Turkey insists on its right to intervene in Iraq on behalf of the Turkmen minority there, while Iran’s counter-ISIL strategy in Iraq relies on the units it backs in the PMF. Turkey has even been accused of explicitly violating Iraqi sovereignty as recently as its December 2015 deployment into Bashiqa, followed by its insistence on contributing to the liberation of Mosul. In light of these realities, Baghdad’s concern for Iraqi sovereignty is justified, and while Turkey and Iran appear willing to subordinate their other interests in Iraq to addressing the Kurdish question, it is unlikely they will stop pursuing extraordinary influence in Iraqi territory. Indeed, responding to the independence referendum represents an opportunity for both parties to expand their reach in Iraq if they can maneuver around each other and the Iraqi government. The antagonism between Ankara and Tehran has recently been marked by signals of cooperation beyond the Kurdish issue. High-level meetings have become almost commonplace, and some in Turkish media are even hailing this collaboration as a revival of the 1937 Saadabad Pact between Turkey, Iran, Iraq, and Afghanistan. Turkey and Iran have found common ground on the blockade of Qatar, and Iranian General Baqueri’s visit to Ankara in August marked an unusual effort to cooperate on Syria and counterterrorism issues. Syria is typically the major point of contention between Turkey and Iran, elevating the significance of the August meeting. Referendum: Why Now, and What Next? The threats of military intervention and economic deprivation leveled against the KRG are exaggerated. Ankara, Tehran, and Baghdad have little real ability to enforce their threats, and an occupation of the KRG is a nonstarter for all three. Although it is possible that KRG President Barzani is merely attempting to extend his influence beyond his current mandate, the vote is timed well to exploit regional neighbors fatigue and precarious domestic conditions. Iraq is concerned with solidifying the gains made against ISIL, yet the pressure on the Peshmerga is low enough to allow the KRG to tolerate some of the instability brought on by the referendum. If the KRG does manage to hold elections on November 1st, as Mr. Barzani has pledged, his Kurdistan Democratic Party will certainly capitalize on the referendum buzz. Whether or not they can realize independence is unclear, especially given the severity of international condemnation, but the nationalistic sentiment will be a powerful tool in securing votes. The referendum represents a unique problem to Turkey, Iran, and Iraq with enough urgency to override their conflicts in such critical arenas as Syria and the fight against ISIL. Despite signs of cooperation, a lasting pact between Turkey, Iran, and Iraq remains unlikely. Iraqi Kurdish independence is anathema to all three, but the rifts between the three states are likely to resurface when the immediacy of Kurdish secession fades. Neither Turkey nor Iran has any incentive to relinquish their footholds in Iraq, and Baghdad will need to face that reality if it continues to welcome their intervention against an independent Kurdistan. 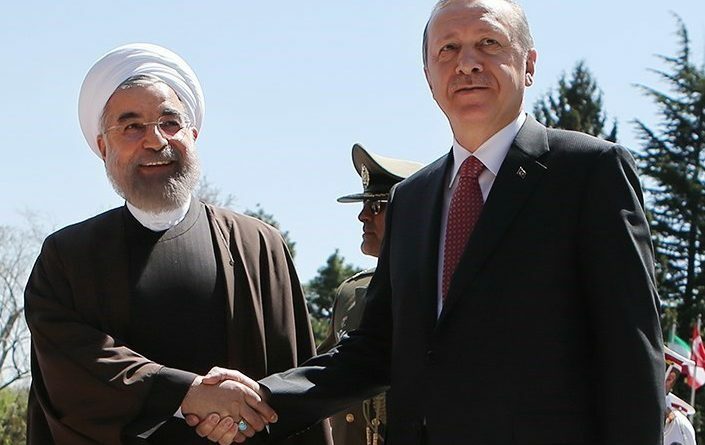 Likewise, Turkey and Iran have incentives to work together, but they cannot ignore each other’s underlying agendas. The post-referendum panic gives them a window to strengthen their relationship and resolve differences in Syria, trade, and counterterrorism, but it will close if they do not work intentionally to for rapprochement. The battle for Kurdish independence from Iraq is still in its infancy; if indeed President Barzani’s true motive is to rally voters around his Kurdish Democratic Party before the November 1st elections, MPs may well ride the swell of popular support to victory before backpedaling once they have secured their seats. The instability of a Turkish-Iranian-Iraqi coalition should not undermine its significance. On the contrary, the three are closer after the Kurdish referendum than they have been in years. There is no other issue on which all three can agree so readily. Yet they must acknowledge the temporary nature of this opportunity if they are to secure a lasting relationship. The spirit to collaboration may not last, but its mere occurrence is noteworthy and signals the depth of opposition to Erbil’s independence.